One difficulty dentists face when dealing with the challenges of impressioning is inaccurate margins due to preparation design. The best way to resolve this issue is by improving retraction. 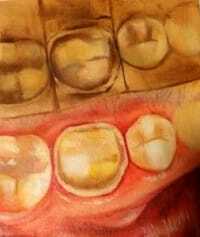 Though in the mouth the difference between enamel and pink tissue is clear, this is not so for the lab. When there is little to no retraction, accurate die trimming and intimate fit of restorations become nearly impossible. 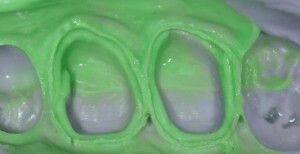 If you allow impression material to flow between the margin of the prepared tooth and the surrounding gingival tissues, then the resulting stone model will be much more successful. Utilize a cord retraction or prep design that isn’t flush with tissue so that the visually gorgeous prep pours that way, too. For more tips on impression troubleshooting and how Gold Dust Dental Lab can support you with great results, please call 800.513.6131 and connect with your account specialist!